what are the Minor Prophets? 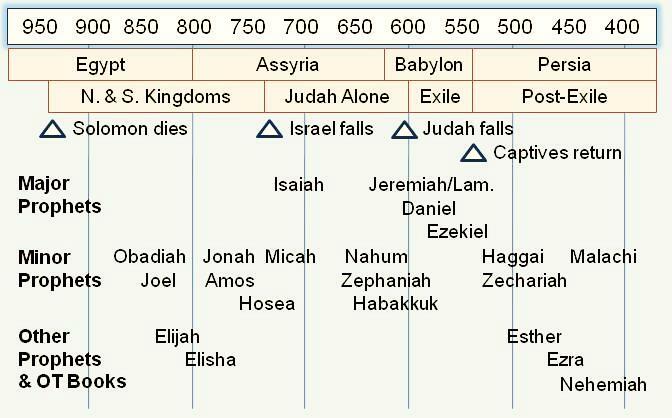 17 Historical books – Genesis to Esther. 5 Poetical books – Job, Psalms, Proverbs, Ecclesiastes, Song of Solomon. 5 Major prophets – Isaiah, Jeremiah, Lamentations, Daniel, Ezekiel. 12 Minor prophets which dropped in together in a ‘bit of a jumble’ at the end of our English Old Testament. The easiest one to find will probably be Malachi as it’s the last book of the OT and we occasionally see it when we are flipping through on our way to find Matthew, the first book of the New Testament. That’s what they are, but who were they, who are the Minor Prophets? They were a group of men from all walks of life. We know very little about some of these men, in fact, in some cases, all we have is the book which bears their name. Obadiah’s a good example there; we’ve no more information on Obadiah, other than he shares his name with quite a lot of other Obadiahs in the Bible. Habakkuk and Joel were probably priests. Hosea was an educated man and we know his father was called Beeri and they lived in the northern kingdom of Israel. Jonah’s story is well known, but apart from the fact he was from the tribe of Zebulun and came from a town called Gath Hepher not much else is known about him. Micah seems to have just been a man from a village called Moresheth, which is generally thought to be in the south of modern Israel in the ancient kingdom of Judah. Zephaniah was the great grandson of King Hezekiah (one of the few good kings of Judah). Of Nahum we’re told only that he came from Elkosh, and that helps very little as there are a number of contenders for the old town of Elkosh. Haggai is another without a ‘who’s who entry’. Zechariah though had a grandad mentioned in the book of Nehemiah (Iddo), and he was from a priestly family. Malachi is even more mysterious, we don’t know a thing about him, but his name means messenger. Does minor mean second rate? Definitely not, they’re no less inspired: all prophecy is inspired God, whether long or short; and neither are they at all “minor” when you look at the impact of some of their prophecies. This makes sense when you consider that inspiration is what makes the writings of the Bible significant, long or short, if God’s speaking we need to sit up and take notice. Peter explains it like this: Above all, you must realise that no prophecy in Scripture ever came from the prophet’s own understanding, or from human initiative. No, those prophets were moved by the Holy Spirit, and they spoke from God. (2 Peter 1:20& 21). So what are some of the important passages in these less well known pages of the Old Testament? Luke 11:29-30 – Jesus spoke of the “Sign of Jonah:” As the crowd pressed in on Jesus, he said, “This evil generation keeps asking me to show them a miraculous sign. But the only sign I will give them is the sign of Jonah. What happened to him was a sign to the people of Nineveh that God had sent him. What happens to the Son of Man will be a sign to these people that he was sent by God. So here Jesus is endorsing the book of Jonah and comparing His ministry to that of Jonah who warned Ninevah. Habakkuk 2:4 – “The just shall live by his faith.” A man called Martin Luther was struck by this passage and it set off a major shakeup of the church, known as the reformation (if you want to know more, just ask). The minor prophet Hosea, when writing about the birth of Israel in the Exodus from Egypt, also anticipated the flight and return of the young Jesus from Herod’s persecution-as explained by Matthew: “out of Egypt I called My Son” (Hosea 11:1. for clarification check out Matthew 2:15). It was the minor prophet Zechariah who predicted the value of a slave, 30 pieces of silver, for which Judas would betray Jesus (Zechariah 11:12). It was Zechariah, too who foretold Palm Sunday, as we now know it: Zechariah 9:9: Rejoice, O people of Zion! Shout in triumph, O people of Jerusalem! Look, your king is coming to you. He is righteous and victorious, yet he is humble, riding on a donkey— riding on a donkey’s colt. Again it was Zechariah also foresaw the crucifixion of Messiah of Israel (Jesus) and the eventual repentance and grief of Israel concerning this huge blunder (Zechariah. 12:10). Malachi, prophesied the ministry of John the Baptist (Mal. 3:1). Some of the most striking and sobering events connected with the return of Christ are spoken of by another minor prophet, Joel. Here is a flavour from Joel 3:14-16: Thousands upon thousands are waiting in the valley of decision. There the day of the Lord will soon arrive. The sun and moon will grow dark, and the stars will no longer shine. The Lord’s voice will roar from Zion and thunder from Jerusalem, and the heavens and the earth will shake. But the Lord will be a refuge for his people, a strong fortress for the people of Israel. OK, so there’s some interesting stuff here in this snapshot, but Why Study the Minor Prophets, can’t we just pick up what the New Testament Picks up? The Minor Prophets have some uncanny, unsettling, even hair-raising parallels between the situations they dealt with and the words of the prophets, and our own situation today. Although Britain isn’t Israel, many of the same principles apply and we can only blame ourselves when we find ourselves in the same situation as cultures and countries who went before and also deserted God. How God has acted in the past is a great measure of how He’s likely to behave in the future. So there are some good reasons to look at these books, but before we start it’s worth asking ourselves, where do these Minor Prophets slot into history? 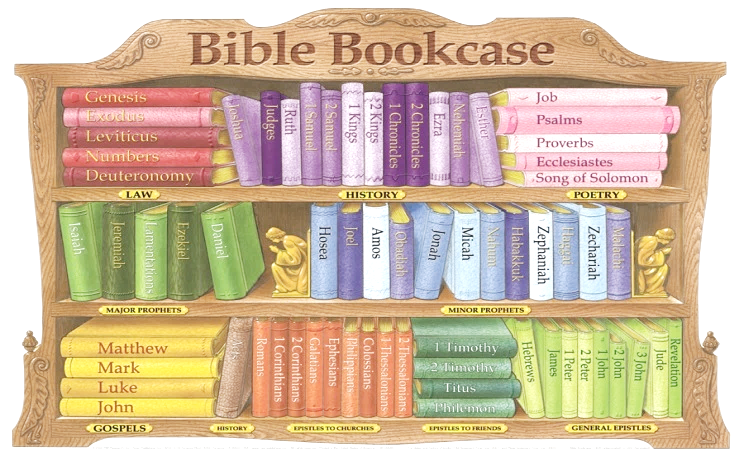 Most passages have a mix of both the past (present for the prophet, past for us) and the future. So it makes a lot of sense for us to know as much as we can about the historical settings the prophets were living and operating in. This might sound a bit technical, but It’s easier to get a grip of than the kings and queens of England! The Minor Prophets cover about 400 years all the way from the 9th century to the 5th century B.C. Assyrian Period – that’s from shortly after the division of the kingdom following Solomon up to and shortly following the fall of the Northern Kingdom to Assyria in 722 B.C. Neo-Babylonian Period – that’s from after the fall of the Northern Kingdom up to shortly following the fall of the Southern Kingdom to Babylonia in 586 B.C. Persian Period – (up to 538 BC and the return from exile). Who were they talking to? Eight of the prophets were speaking to Judah (the Southern Kingdom); that’s Joel, Micah, Zephaniah, Habakkuk, Haggai, Zechariah, and Malachi. Hosea and Amos spoke to Israel (the Northern Kingdom). So they’re in the wrong order then? Yes the Bible order isn’t chronological, but as we study these books we’ll take them in time order, starting with Obadiah.